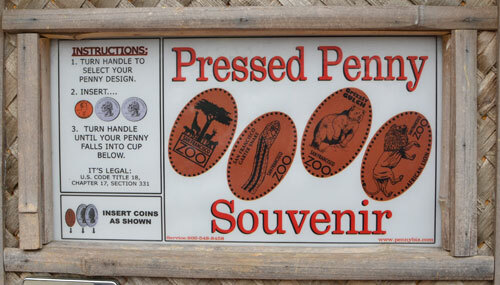 Last week, I saw a penny machine at the San Francisco Zoo. These machines are commonly found at amusement parks and other popular tourist destinations. Basically, for 50 cents, the machine will flatten and emboss your penny with a commemorative design. If you experience a case of buyer’s remorse, you can always unload your pressed penny on eBay.